This is a Mass Effect Andromeda biotics skills page. 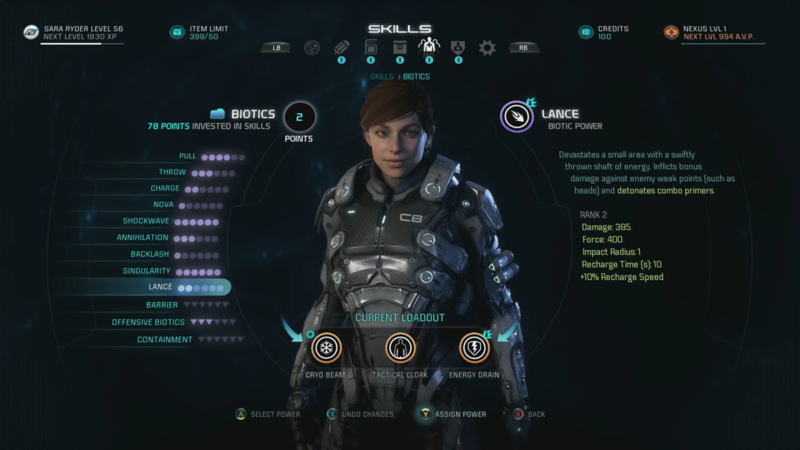 Here you’ll find information about the plethora of dangerous combat skills used in Mass Effect Andromeda. These are the skills focus on harnessing mass effect fields to manipulate matter and space. Biotic powers are the “magic powers” of Mass Effect Andromeda. Note that biotic combos will have extra Area-of-Effect explosions per enemy hit.